The American College of Medical Toxicology is working with The Global Educational Toxicology Uniting Project (GETUP) to promote medical toxicology education and specialized patient care worldwide. The GETUP initiative connects clinicians in countries with established clinical toxicology services to those in countries without these services. This is a pathway to building poisoning management expertise where people most need it, and that will have a positive impact on human poisoning. The GETUP Project is now expanding beyond the pilot phase and enrolling more sites worldwide. The project currently includes 26 centers in 14 countries. GETUP is open to new registrants, and welcomes health care centers with and without expertise in human poisoning to become involved. Interested parties can register through the website http://www.acmt.net/GETUP.html. 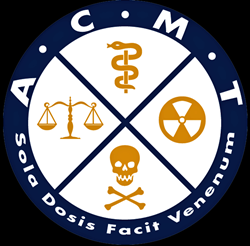 The American College of Medical Toxicology (ACMT) is a professional, nonprofit association of physicians with recognized expertise in medical toxicology. The College is dedicated to advancing the science and practice of medical toxicology.